True. Their jaws are among the most powerful of all animal species, and both the top and bottom move while eating and attacking prey. Up to 800 feet. Sharks have protected inner ears that they use to find prey. There are about 350 species of shark in the world's oceans and other bodies of water. 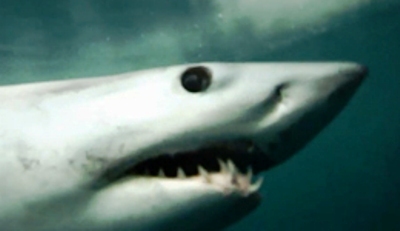 Scientific studies have gauged the pressure of a shark's bite at approx. 40,000 pounds per square inch. Bull sharks have been known to roam in rivers, lagoons, and open water bays. False. Sharks regenerate teeth, and if one is lost, one moves forward from the extra rows of teeth behind the first row. Only about 100 attacks take place each year, on average. Click HERE To Get Your Final Results!